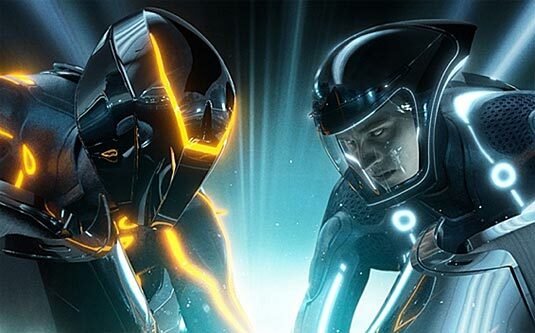 Is TRON 3 Already In Development? Bruce Boxleitner confidently tells a fan that his return for ‘TRON 3′ is an absolute and that we can expect it to arrive in theaters in 2013. Now, we just wait for Disney to say the same. Fans had to wait 28 years to see Jeff Bridges grace the grid screen once again as Kevin Flynn aka Clu in TRON: Legacy but it’ll be a significantly shorter wait for Disney to bring TRON 3 to the silver screen. Despite mediocre reviews, the 3D sequel earned over $400 million and so it wasn’t surprising to see TRON 3 teaser trailers added to the TRON: Legacy home video releases. ZOMBADINGS 1: Patayin sa Shokot si Remington will have an advance screening this Saturday August 20, 2011, 7 PM at the Cinema 2 of SM City Cinema Iloilo City. The film is originally set for official release on August 31, 2011. ZOMBADINGS is directed by Jade Castro (who directed "My Big Love"). He is also the screenwriter of it, along with Raymond Lee (In My Life, D'Anothers, Tanging Yaman)) and Michiko Yamamoto (Pagdadalaga ni Maximo Oliveros, Magnifico, Santa Santita). Its cast include Martin Escudero, Lauren Young, Kerbie Zamora, Janice de Belen, John Regala, Angelina Kanapi, Leandro Baldemor, Daniel Fernando, and with the special participation of Roderick Paulate and Eugene Domingo. 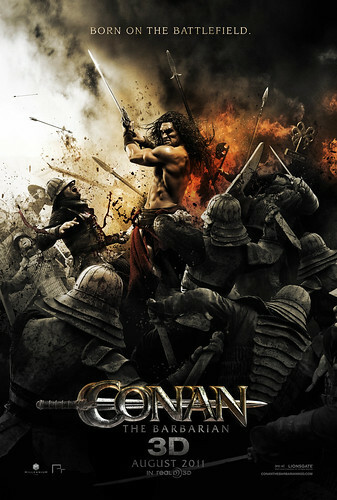 Over the years, there were several attempts to continue the legacy of Conan in film. And it seems that this new one wishes to re-ignite the flames of the barbarian character, and perhaps start a new film series. Unlike the 1982 film adaptation by John Milius which had some few alterations from the source material, this new one claims to remain true to the original books. But while it did seem to capture that visually, it failed to establish some degree of emotional and cerebral factor which made the 1982 version a classic. Comparatively, where the Milius and Schwarzenegger Conan was given ample time for quiet and more thoughtful moments, Marcus Nisepel's and Jason Momoa's Conan was always in a rabid action mode; more arrogant, thoughtless, and after a while, his monotone and lack of character made him too boring and too cardboard-like to sympathize with. The lines he spat out were all barbaric machismo and of vengeance and savagery, which after a while began to sound annoying and awfully corny. In 1968, THE PLANET OF THE APES was one sci-fi movie that had revolutionized science fiction cinema and created a pop culture phenomenon. It was from this moment that cinema in general took sci-fi seriously. Based on a book by Pierre Boulle, the movie became an instant classic and spawned several sequels, including a TV series and an animated series. In 2001 was remade by Tim Burton and starred Mark Wahlberg, but it was an awful remake and the intended revival of the Apes Phenomenon went nowhere. Now, it seems that the Apes are properly being reintroduced, with a seriously good storyline, and a seriously impressive directorial treatment. RISE OF THE PLANET OF THE APES is a movie that re-awakens a phenomenon, and re-establishes the reputation of the Planet of the Apes as a sci-fi franchise that is not just amazing, but intelligently and subconsciously deep. Somewhere in the downtrodden slums of Metro Manila lives Mila, a miserably struggling mother living in sheer poverty with her 7 (or was it 9?) children. Because of their miserable condition, she decides to sell one of her children to a foreigner. But Mila is merely a character in the indie film that producer JM De Guzman, director Koan Cipriano, and production assistant Cal Cortez set out to make. They are inspired and are bent to achieve Film Festival glory. In doing so, they employ the ace under their sleeves; actress and superstar Eugene Domingo. ANG BABAE SA SEPTIC TANK is actually a brilliant, thought-provoking satire of the current Indie Film Industry & the hypocrisy in the minds of those who only wish to become Film Festival Superstars. Those who might think this is the usual Eugene Domingo wild and zany comedy (coz the abs-cbn trailer makes the movie look like a wacky comedy e), im just reminding you that this one is more of satire than comedy, meaning most of the stuff that's funny here are funny coz these things are real. It’s a “Bato-bato sa Langit” sort of movie.